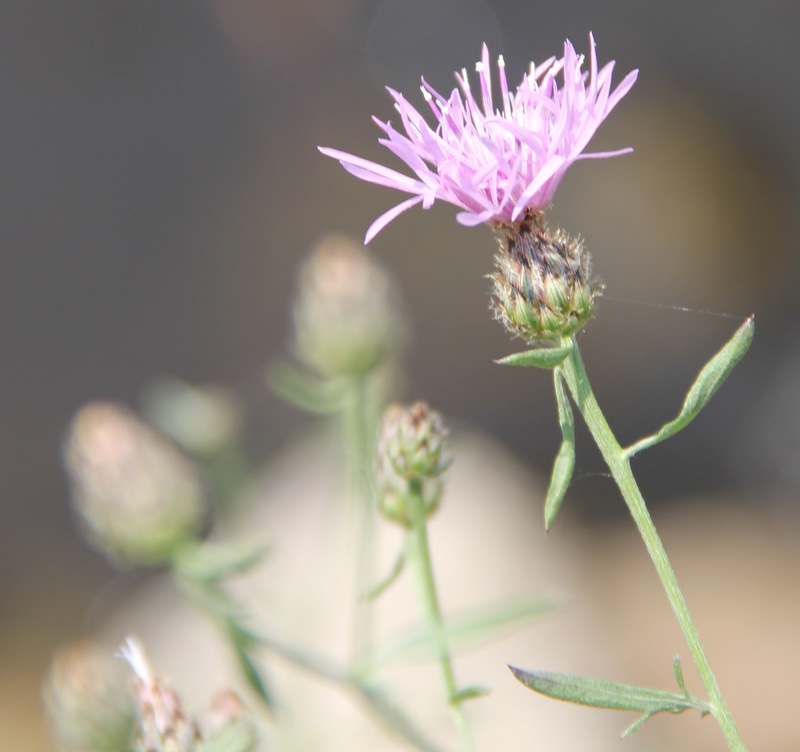 A flower of the invasive plant, Centaurea stoebe (spotted knapweed). Humans are changing the earth in many ways. First, by burning fossil fuels and adding greenhouse gasses to the atmosphere we are causing climate change, or the warming of the planet. Scientists have documented rising temperatures across the globe and predict an increase of 3° C in Michigan within the next 100 years. Second, we are also changing the earth by movingspecies across the globe, introducing them into new habitats. 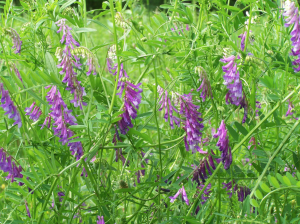 Some of these introduced species spread quickly and become invasive. Invasive species harm native species and cost us money. There is also potential that these two changes could affect one another; warmer temperatures from climate change may make invasions by plants and animals even worse. All living organisms have a range of temperatures they are able to survive in, and temperatures where they perform their best. For example, arctic penguins do best in the cold, while tropical parrots prefer warmer temperatures. The same is true for plants. 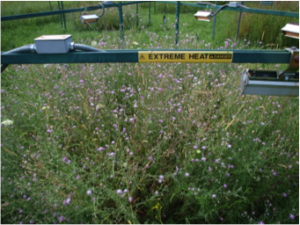 Depending on the temperature preferences of a plant species, warming temperatures may either help or harm that species. Katie, Mark, and Jen are scientists concerned that invasive species may do better in the warmer temperatures caused by climate change. There are several reasons they expect that invasive species may benefit from climate change. First, because invasive species have already survived transport from one habitat to another, they may be species that are better able to handle change, like temperature increases. Second, the new habitat of an invasive species may have temperatures that allow it to survive, but are too low for the invasive species to do their absolute best. This could happen if the invasive species was transported from somewhere warm to somewhere cold. Climate change could increase temperatures enough to put the new habitat in the species’range of preferred temperatures, making it ideal for the invasive species to grow and survive. A view of the plants growing in a heated ring. Notice the purple flowers of Centaurea stoebe. To determine if climate change will benefit invasive species, Katie, Mark, and Jen focused on one of the worst invasive plants in Michigan, spotted knapweed. 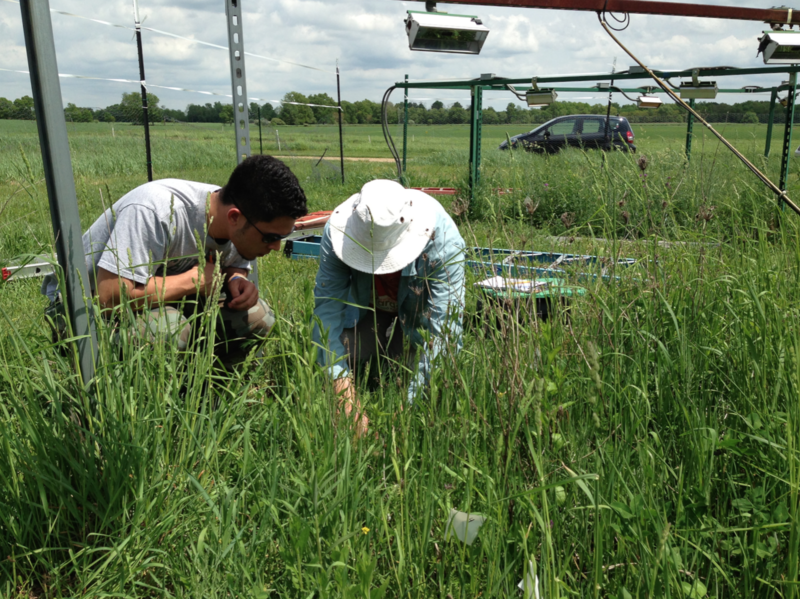 They looked at spotted knapweed plants growing in a field experiment with eight rings. Half of the rings were left with normal, ambient air temperatures. The other half of the rings were heated using ceramic heaters attached to the side of the rings. These heaters raised air temperatures by 3° C to mimic future climate change. 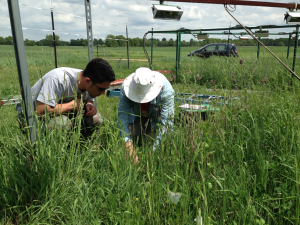 At the end of the summer, Mark and Katie collected all of the spotted knapweed from the rings. They recorded both the (1) abundance, or number of spotted knapweed plants within a square meter, and (2) the biomass (dry weight of living material) of spotted knapweed. These two variables taken together are a good measure of performance, or how well spotted knapweed is doing in both treatments. 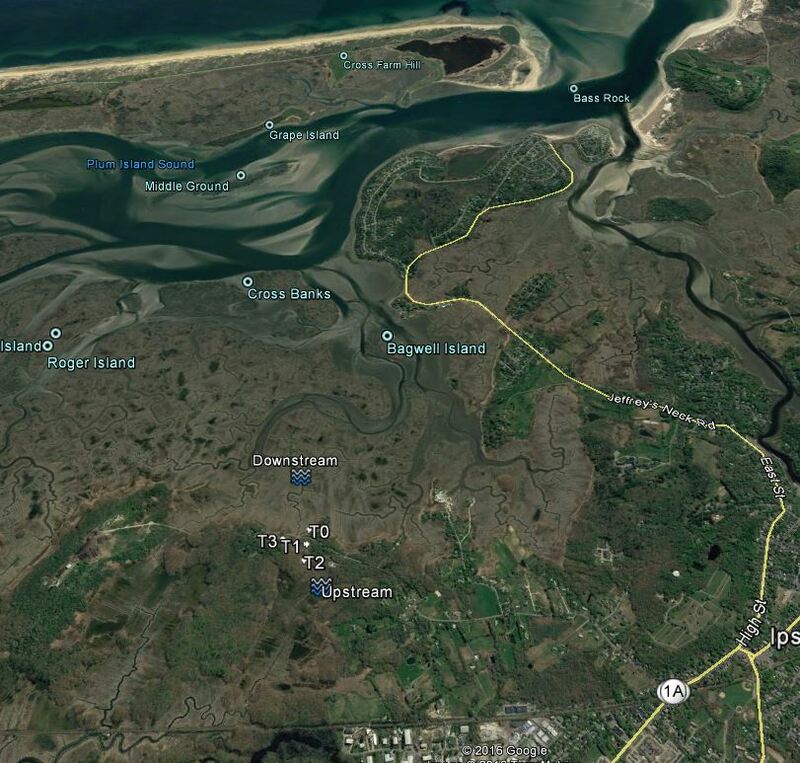 Can a salt marsh recover after restoration? Students collecting salinity data at a transect point. The tall tan grass is Phragmites. In the 1990s, it was clear that the Saratoga Creek salt marsh was in trouble. The invasive plant, Phragmites australis, covered large areas of the marsh. Thick patches of Phragmites crowded out native plants. There were very few animals, especially migrating birds, because the plants grew too densely for them to move around. 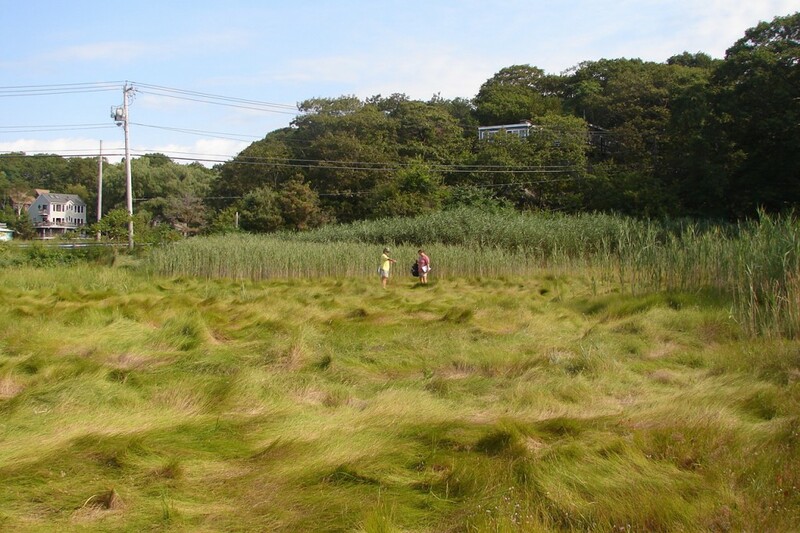 Salt marshes are wetland habitats near oceans where water-tolerant salt-loving plants grow. Usually native grasses dominate the marsh, but where humans cause disturbance Phragmites can start to take over. Human disturbance was having a huge effect on the health of Saratoga Creek by changing the water coming into the marsh. Storm drains, built to keep rain water off the roads, were adding more water to the marsh. This runoff, or freshwater and sediments from the surrounding land, made the marsh less salty. The extra sediment made the problem even worse because it raised soil levels along the road. Raised soil means less salty ocean comes into the marsh during high tide. In 1998, scientists, including members of the Rockport Conservation Commission and students from the Rockport Middle School science club, began to look at the problem. Phragmites grows best when salt levels are low. When salt levels are high, native grasses do better. The scientists thought that the extra fresh water and sediments added by the storm drains into the marsh was the reason Phragmites was taking over. 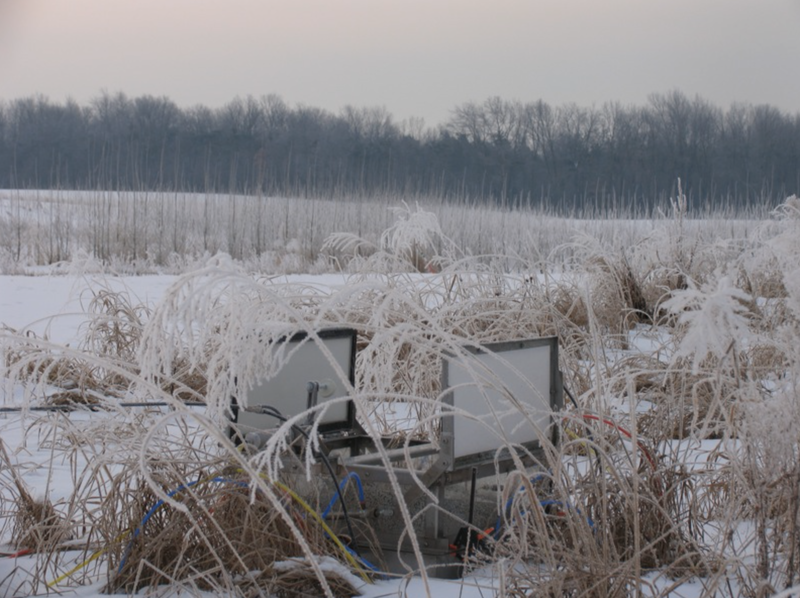 The scientists wanted to see if a restoration could reverse the Phragmites invasion. In 1999, a ditch was dug along the side the road to catch runoff before it entered the marsh. A layer of sediment was also removed from the marsh, allowing ocean water to reach the marsh during high tide once again. Students set up sampling areas, chosen to observe and record data, called transects. Transects were 25 meters long and students collected data every meter. The transects made it possible to return to the same points in the marsh year after year. 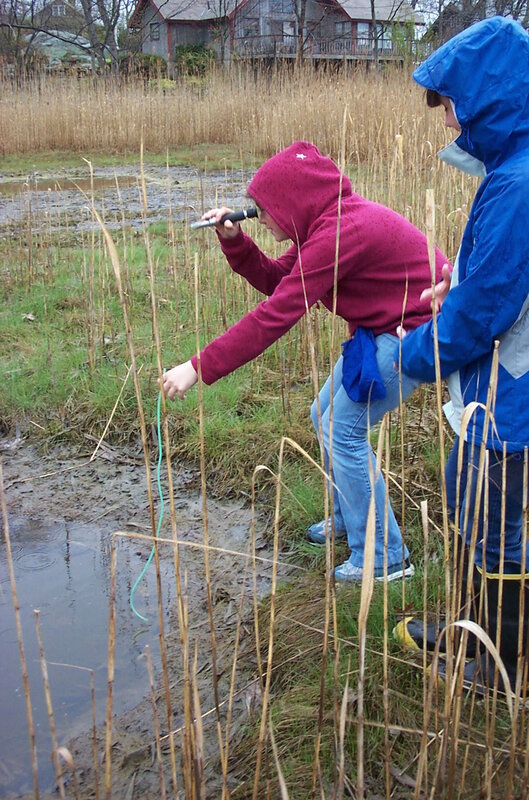 Along the transects, students counted the number of Phragmites plants and calculated abundance as the percent of points along the transect where they found Phragmites. They also measured the height of Phragmites as a way to figure out how well it was growing. 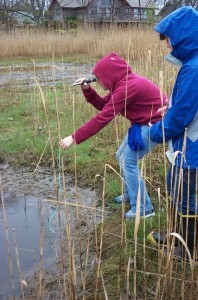 The students compared Phragmites data from before 1999 and after 1999 to see if the restoration made a difference. They predicted that the abundance and height of Phragmites would go down after runoff was reduced by the restoration. View of Saratoga Creek Salt Marsh several years after restoration, showing location of one of the transects. Native grasses are growing in the foreground. 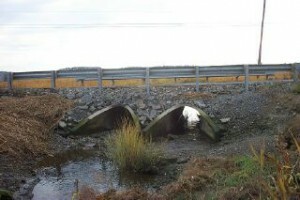 Culverts run under roads and allow water from the ocean to enter a marsh. Phragmites can be seen growing in the background. Phragmites australis is an invasive reed, a type of grass that grows in water. Phragmites is taking over saltwater marshes in New England, or wetland habitats near the Atlantic Ocean coast. Phragmites does so well it crowds out native plants that once served as food and homes for marsh animals. Once Phragmites has invaded, it is sometimes the only plant species left! Phragmites does best where humans have disturbed a marsh, and scientists were curious why that might be. They thought that perhaps when a marsh is disturbed, the salinity, or amount of salt in the water, changes. Phragmites might be able to survive after disturbances that cause the amount of salt in the water to drop, but becomes stressed when salinity is high. Students collecting data on the plant species present in the marsh using transects. Every 1m along the tape, students observe which plants are present. Phragmites is the tall grass that can be seen growing behind the students. Fresh water in a marsh flows from the upstream source to downstream. Saltwater marshes end at the ocean, where freshwater mixes with salty ocean water. One type of disturbance is when a road is cut through a marsh. Upstream of the road, the marsh is cut off from the salt waters from the ocean, so only fresh water will enter and salinity will drop. Downstream of the road, the marsh is still connected to the ocean and salinity should be unaffected by the disturbance. 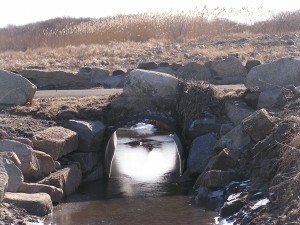 Often, a culvert (a pipe that runs under the road) is placed to allow salt water to pass from the ocean into the marsh. The amount of ocean water flowing into the marsh is dependent on the diameter of the culvert. 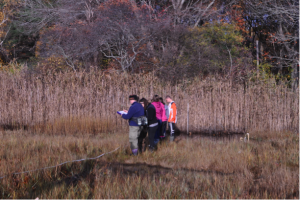 Students at Ipswich High School worked with scientists from the Mass Audubon, a conservation organization, to look at the Phragmites in the marsh. They looked at an area where the salinity in the marsh changed after a road was built. They wanted to know if this change would affect the amount of Phragmites in that marsh. In 1996, permanent posts were placed 25 meters apart in the marsh. That way, scientists could collect data from the same points each year. At these posts, students used transects, a straight line measured from a point to mark where data is collected. Then they collected data on all the plants that were found every meter along the transects. Data has been collected at these same points since 1996. 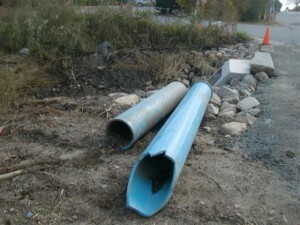 In 2005, an old 30cm diameter culvert was replaced with two 122cm culverts. These wider culverts allow much more salty ocean water to flow under the road and into the marsh. Students predicted that after the culverts were widened, more ocean water would enter the marsh. This would make salinity go up, making it harder for Phragmites to grow, and it would decline in numbers. Students continued to survey the plants found along transects at each permanent post and documented their findings. Featured scientists: Lori LaFrance from Ipswich High School, Massachusetts and Liz Duff from Mass Audubon. This study was part of the PIE-LTER funded by the NSF. To access the original data presented in this activity, and collected by students, access Mass Audubon’s Vegetation Data, available online. To access the salinity data related to this activity, and collected by students, access Mass Audubon’s Salinity Data, available online. Scroll down to “Ipswich, MA, Town Farm Road” for data from the site discussed here. View of the two new culverts. 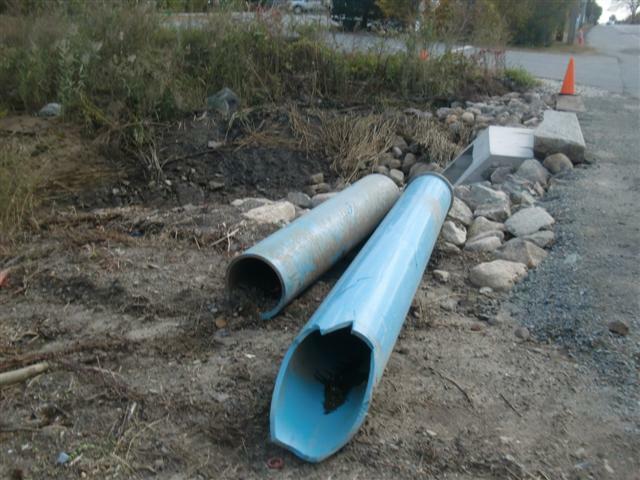 The old pipe that was removed, and the new culvert. Arial view of the upstream and downstream research sites. Biofuels are made from the tissues of plants that are alive and growing today. When plants are harvested, their tissues, called biomass, can be converted into fuel. Biofuels are renewable, meaning we can produce them as quickly as we use them up. 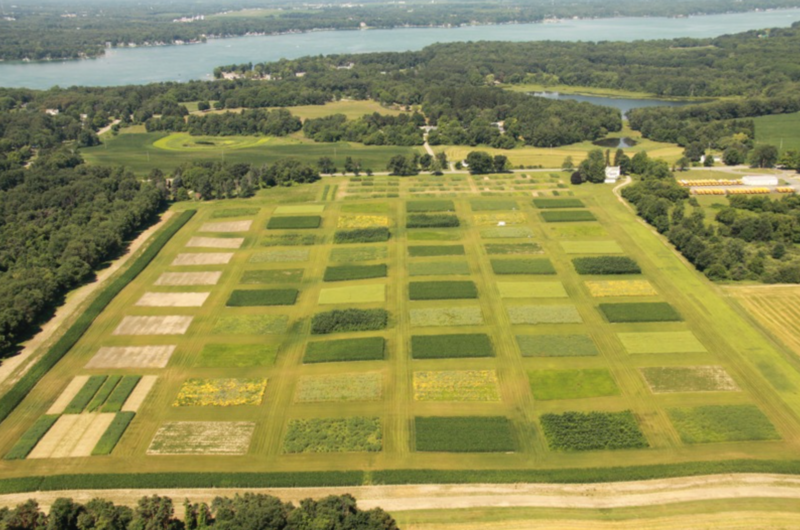 At the Great Lakes Bioenergy Research Center sites in Wisconsin and Michigan, scientists and engineers are attempting to figure out which plants make the best biofuels. Gregg is a scientist who wants to find out how much plant biomass can be harvested from different crops like corn, grasses, weeds, and trees. The bigger and faster a plant grows, the more biomass they make. The more biomass the more fuel can be produced. Gregg is interested in maximizing how much biomass we can produce while also not harming the environment. Each plant species comes with a tradeoff – some may be good at growing big, but need lots of inputs like fertilizer and pesticide. Corn is an annual, meaning it only lives for one year. Corn is one of the best crops for producing a lot of biomass. However, farmers must add a lot of chemical fertilizers and pesticides to their fields to plant corn every year. These chemicals harm the environment and cost farmers money. Other plants harvested for biofuels, like switchgrass, prairie species, poplar trees, and Miscanthus grass are perennials. Perennials grow back year after year without replanting. 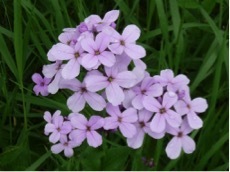 Perennials require much less chemical fertilizers and pesticides to grow. If perennials can produce high levels of biomass with low levels of soil nutrients, perhaps a perennial crop could replace corn as the best biofuel crop. Gregg out in the WI experimental farm. To test this hypothesis, scientists worked together to design a very large experiment. 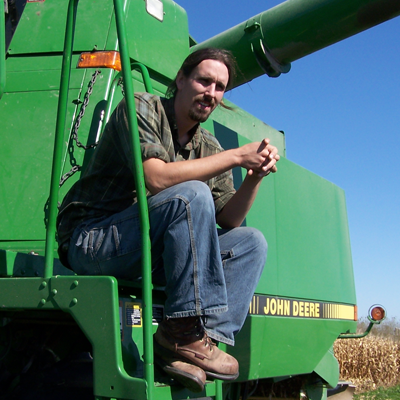 Gregg and his team grew multiple plots of six different biofuel crops on experimental farms in Wisconsin and Michigan. The soils at the Wisconsin site are more fertile and have more nutrients than the soils at the Michigan site. At each farm, they grew plots of corn to be compared to the growth of plants in five types of perennial plots. The types of perennial plots they planted were: switchgrass, Miscanthus grass, poplar saplings (trees), a mix of prairie species, and weedy fields. Every fall the scientists harvested, dried, and then weighed the biomass from each plot. They continued taking measurements for five years and then calculated the average biomass production in a year for each plot type at each site. This Data Nugget was adapted from a data analysis activity developed by the Great Lakes Bioenergy Research Center (GLBRC). For a more detailed version of this lesson plan, including a supplemental reading, biomass harvest video and extension activities, click here. This lesson can be paired with The Science of Farming research story to learn a bit more about the process of designing large-scale agricultural experiments that need to account for lots of variables. For a classroom reading, click here to download an article written for the public on these research findings. Click here for the scientific publication. 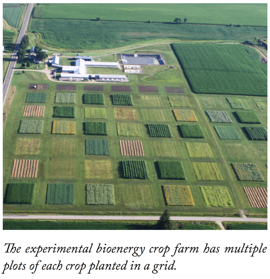 For more bioenergy lesson plans by the GLBRC, check out their education page. For more photos of the GLBRC site in Michigan, click here. Is chocolate for the birds? 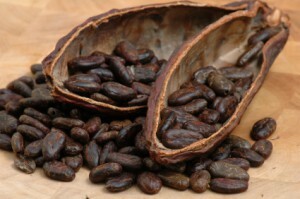 Cocoa beans used to make chocolate! About 9,000 years ago humans invented agriculture as a way to grow enough food for people to eat. Today, agriculture happens all over the globe and takes up 40% of Earth’s land surface. To make space for our food, humans must clear large areas of land, which creates a drastic change, or disturbance, to the habitat. This land-clearing disturbance removes the native plants already there including trees, small flowering plants, and grasses. 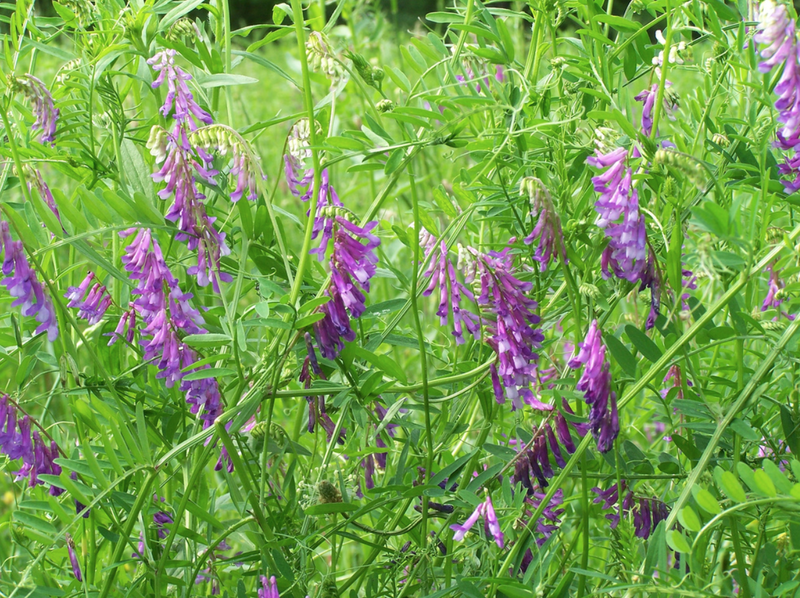 Many types of animals including mammals, birds, and insects depend on these native plants for food or shelter. Large scale disturbances can make it difficult to live in the area. For example, a woodpecker bird cannot live somewhere that has no trees because they live and find their food in the trees. However, some agriculture might help some animals because they can use the crops being grown for the food and shelter they need to survive. One example is the cacao tree, which grows in the rainforests of South America. Humans use the seeds of this plant to make chocolate, so it is a very important crop! Cacao trees need very little light. They grow best in a unique habitat called the forest understory, which is composed of the shorter trees and bushes under the large trees found in rainforests. To get a lot of cacao seeds for chocolate, farmers need to have large rainforest trees above their cacao trees for shade. In many ways, cacao farms resemble a native rainforest. Many native plant species grow there and there are still taller tree species. However, these farms are different in important ways from a native rainforest. For example, there are many more short understory trees in the farm than there are in native rainforests. Also, there are fewer small flowering plants on the ground because humans that work on cacao farms trample them as they walk around the farm. 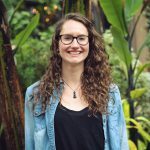 Part I: Skye is a biologist who wanted to know whether rainforest birds use the forest when they are disturbed by adding cacao farms. 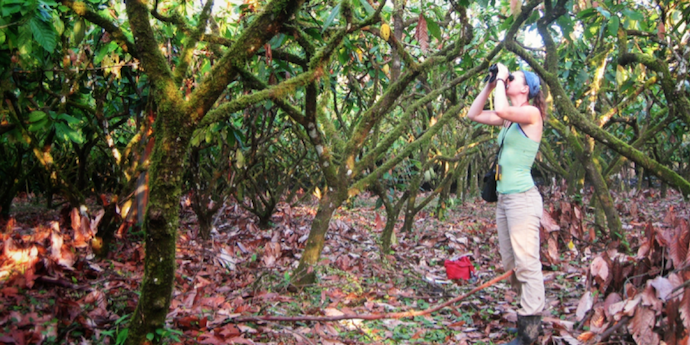 Skye predicted she would see many fewer birds in the cacao farms, compared to the rainforest. To measure bird abundance, she simply counted birds in each habitat. To do this she chose one rainforest and one cacao farm and set up two transects in each. Transects are parallel lines along which the measurements are taken. She spent four days counting birds along each transect, for a total of eight days in each habitat. She had to get up really early and count birds between 6:00 and 9:00 in the morning because that’s when they are most active. Part II: Skye was shocked to see so many birds in cacao farms! She decided to take a closer look at her data. Skye wanted to know how the types of birds she saw in the cacao farms compared to the types of birds she saw in the rainforest. She predicted that cacao farms would have different types of birds than the undisturbed rainforest. She thought the bird types would differ because each habitat has different types of food available for birds to eat and different types of plants for birds to live in. Greenler, S.M. and J.J. Ebersole (2015) Bird communities in tropical agroforestry ecosystems: an underappreciated conservation resource. Agroforestry Systems 89: 691–704. The complete dataset for the study has been published to a data repository and is available for classroom use. This dataset has even more data than what is in the Data Nugget activity. 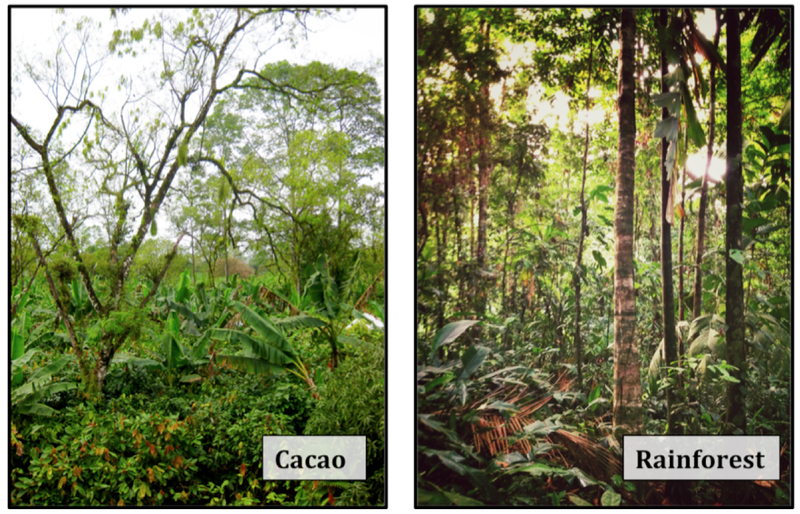 While the Data Nugget has data for just two habitats (cacao and rainforest), the full dataset also includes two other agroforest habitat types. The dataset also includes data for every species (169) recorded during the study, whereas the Data Nugget only has data for four families (toucans, wrens, flycatchers, hummingbirds). Study Location: Skye’s study took place in a 10 km2 mixed rainforest, pasture, agro-forest, and monoculture landscape near the village of Pueblo Nuevo de Villa Franca de Guácimo, Limón Province, Costa Rica (10˚20˝ N, 83˚20˝ W), in the Caribbean lowlands 85 km northeast of San José. About Skye: As a child Skye was always asking why; questioning the behavior, characteristics, and interactions of plants and animals around her. She spent her childhood reconstructing deer skeletons to understand how bones and joints functioned and creating endless mini-ecosystems in plastic bottles to watch how they changed over time. This love of discovery, observation, questioning, and experimentation led her to many technician jobs, independent research projects, and graduate research study at Purdue University. At Purdue she studies the factors influencing oak regeneration after ecologically based timber harvest and prescribed fire. While Skye’s primary focus is ecological research, she loves getting to leave the lab and bring science into classrooms to inspire the next generation of young scientists and encourage all students to be always asking why! If you dig through soil, you’ll notice that soil is not hard like a rock, but contains many air pockets between soil grains. These spaces in the soil contain gases, which together are called the soil atmosphere. The soil atmosphere contains the same gases as the atmosphere that surrounds us above ground, but in different concentrations. It has the same amount of nitrogen, slightly less oxygen (O2), 3-100 times more carbon dioxide (CO2), and 5-30 times more nitrous oxide (N2O, which is laughing gas!). Measuring nitrogen (N2O) gas escaping from the soil in winter. Photo credit: Julie Doll Michigan State University. Nitrous oxide and carbon dioxide are two greenhouse gasses responsible for much of the warming of global average temperatures. Sometimes soils give off, or emit, these greenhouse gases into the earth’s atmosphere, adding to climate change. 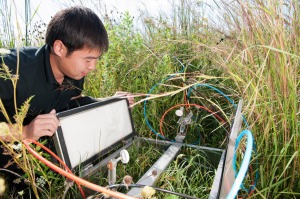 Currently scientists are working to figure out why soils emit different amounts of these greenhouse gasses. 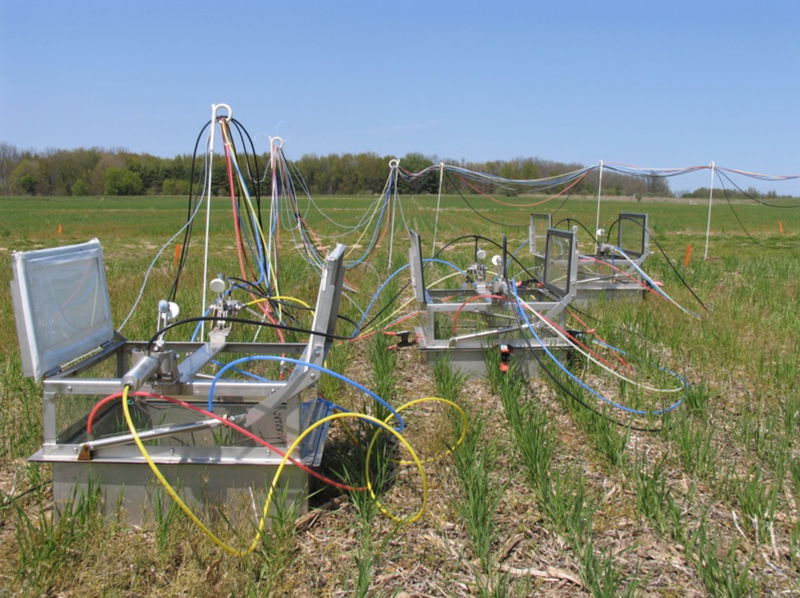 During the summer of 2010, Iurii and his fellow researchers at Michigan State University studied nitrous oxide (N2O) emissions from farm soils. They measured three things: (1) the concentration of nitrous oxide 25 centimeters below the soil’s surface (2) the amount of nitrous oxide leaving the soil (3) and the average temperature on the days that nitrous oxide was measured. The scientists reasoned that the amount of nitrous oxide entering the atmosphere is positively associated with how much nitrous oxide is in the soil and on the soil temperature. More information on the research associated with this Data Nugget can be found here. 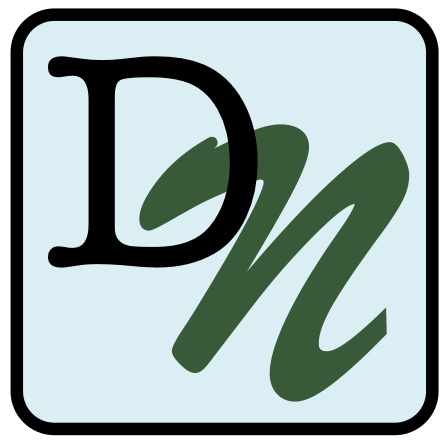 Information on the effects of climate change in Michigan can be found here. Data associated with this Data Nugget can be found on the MSU LTER website data tables under GLBRC Biofuel Cropping System Experiment. Bioenergy research classroom materials can be found here. More images can be found on the LTER website. Greenhouse gases in our atmosphere, like carbon dioxide (CO2), methane (CH4), and nitrous oxide (N2O), trap heat from the sun and warm the earth. We need some greenhouse gases to keep the planet warm enough for life. But today, the majority (97%) of scientists agree that the levels of greenhouse gases are getting dangerously high and are causing changes in our climate that may be hard for us to adjust to. When we burn fuels to heat and cool our homes or power our cars we release greenhouse gasses. Most of the energy used today comes from fossil fuels. These energy sources are called “fossil” fuels because they come from plants, algae, and animals that lived hundreds of millions of years ago! After they died, their tissues were buried and slowly turned into coal, oil, and natural gas. An important fact about fossil fuels is that when we use them, they release CO2 into our atmosphere that was stored millions of years ago. The release of this stored carbon is adding more and more greenhouse gases to our atmosphere, and much faster than today’s plants and algae can remove during photosynthesis. In order to reduce the effects of climate change, we need to change the way we use energy and think of new ways to power our world. One potential solution could be to grow our fuel instead of drilling for it. Biofuels are a potential substitute for fossil fuels. Biofuels, like fossil fuels, are made from the tissues of plants. The big difference is that they are made from plants that are alive and growing today. Unlike fossil fuels that emit CO2, biofuel crops first remove CO2 from the atmosphere as the plants grow and photosynthesize. When biofuels are burned for fuel, the CO2 is emitted back into the atmosphere, balancing the total amount that was removed and released. Scientists are interested in figuring out if biofuels make a good replacement for fossil fuels. 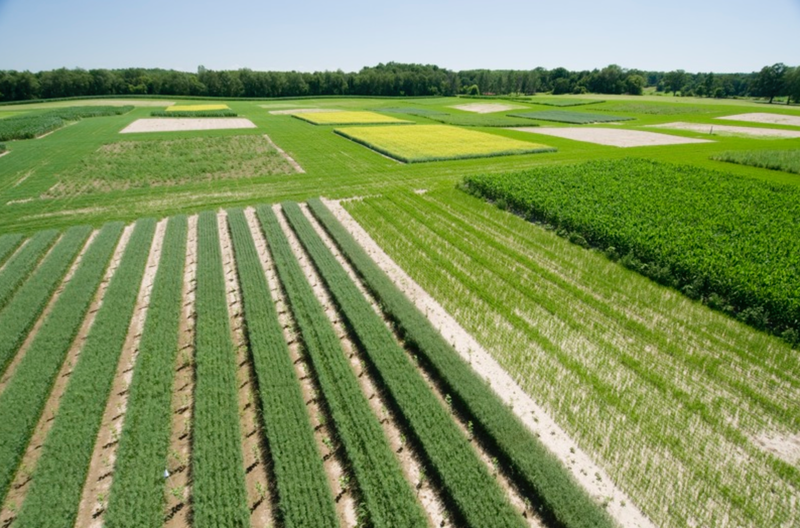 It is still not clear if the plants that are used to produce biofuels are able to absorb enough CO2 to offset all of the greenhouse gases that are emitted when biofuels are produced. Additional greenhouse gases are emitted when producing biofuels because it takes energy to plant, water, and harvest the crops, as well as to convert them into fuel. In order to maximize plant growth, many biofuel crops are fertilized by adding nitrogen (N) fertilizer to the soil. However, if there is too much nitrogen in the soil for the crops to take up, it may instead be released into the atmosphere as the gas nitrous oxide (N2O). N2O is a greenhouse gas with a global warming potential nearly 300 times higher than CO2! Global warming potential is a relative measure of how much heat a greenhouse gas traps in the atmosphere. Leilei is a scientist who researches whether biofuels make a good alternative to fossil fuels. He wondered what steps farmers could take to reduce the amount of N2O released when growing biofuel crops. Leilei designed an experiment to determine how much N2O is emitted when different amounts of nitrogen fertilizer are added to the soil. In other words, he wanted to know whether the amount of N2O that is emitted into the atmosphere is associated with how much fertilizer is added to the field. To test this idea, he looked at fields of switchgrass, a perennial grass native to North America. 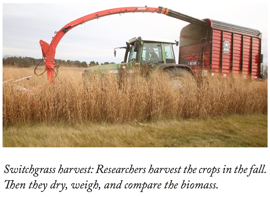 Switchgrass is one of the most promising biofuel crops. The fields of switchgrass were first planted in 2008 as a part of a very large long-term study at the Kellogg Biological Station in southwest Michigan. 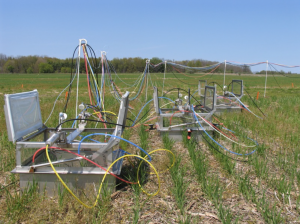 The researchers set up eight fertilization treatments (0, 28, 56, 84, 112, 140, 168, and 196 kg N ha−1) in four replicate fields of switchgrass, for a total of 32 research plots. Leilei measured how much N2O was released by the soil in the 32 research plots for many years. Here we have two years of Leilei’s data. Data related to this Data Nugget can be found on the MSU LTER website data tables under GLBRC Biofuel Cropping System Experiment. The data in this activity is the Trace Gas Fluxes from Static Chambers dataset which has N2O, CO2, and CH4 data. 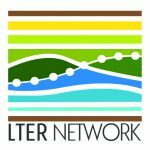 More information on LTER climate change research can be found here. Information on the effects of climate change in Michigan can be found here. Bioenergy research classroom materials can be found here. More images can be found on the LTER website. Under some conditions, this mutualism can break down. For example, if one of the traded resources is very abundant in the environment. When the plant doesn’t need the nitrogen traded by rhizobia, it doesn’t trade as many sugars to the rhizobia. This could cause the rhizobia to evolve to be less cooperative as well. 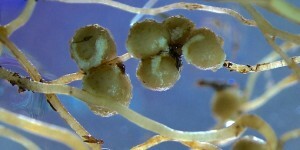 Less-cooperative rhizobia may be found where the soil already has lots of nitrogen. These less-cooperative bacteria are freeloaders: they fix less nitrogen, but still get sugars from the plant and other benefits of living in nodules on their roots. One very important legume crop species is the soybean. Soybeans are used to produce vegetable oil, tofu, soymilk, and many other food products. Soybeans trade with rhizobia for nitrogen, but often farmers add more nitrogen into the field as fertilizer. Since farms use a lot of nitrogen fertilizer, researchers at KBS were interested in how different types of farming affected the plant-rhizobia mutualism. They grew soybean plants in a greenhouse and added rhizobia from three different farms: a high N farm, low N farm, and organic farm that used no N fertilizer. 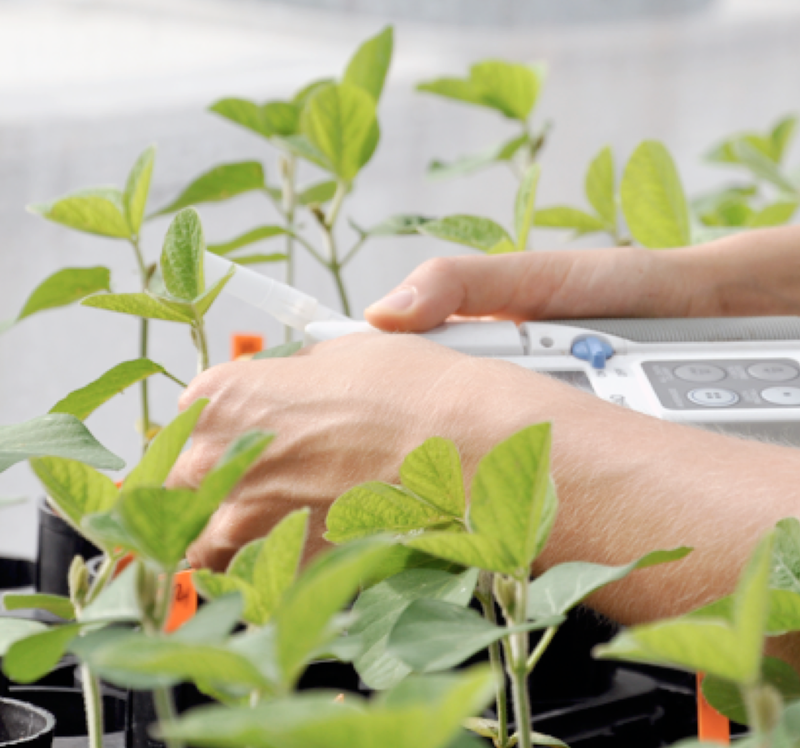 After four weeks, the researchers measured chlorophyll content of the soybean plants. Healthy plants that have lots of nitrogen will have high chlorophyll content, and plants with not enough nitrogen will have low chlorophyll content. Because high nitrogen could lead to the evolution of less-cooperative rhizobia, they expected that rhizobia from organic plots would be most cooperative. They predicted rhizobia from high N plots would be the least cooperative, and rhizobia from low N plots would fall somewhere in the middle. More-cooperative rhizobia provide more nitrogen, so the researchers expected plants grown with cooperative rhizobia to have higher chlorophyll content than plants receiving less-cooperative rhizobia.